Very Good. 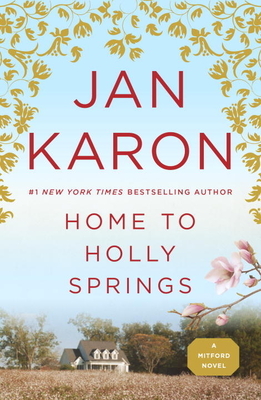 Home to Holly Springs (Father Tim Novels (Paperback)) by Karon, Jan. Trade paperback (US). Glued binding. 384 p. Father Tim Novels (Paperback), 1. Good. Home to Holly Springs (Father Tim Novels (Paperback)) by Karon, Jan, 2008-11-01. Trade paperback (US). Glued binding. 384 p. Father Tim Novels (Paperback), 1. Acceptable. Used-Acceptable. Ships from UK in 48 hours or less (usually same day). Your purchase helps support the African Children's Educational Trust (A-CET). Ex-library with wear and barcode page may have been removed. 100% money back guarantee. We are a world class secondhand bookstore based in Hertfordshire, United Kingdom and specialize in high quality textbooks across an enormous variety of subjects. We aim to provide a vast range of textbooks, rare and collectible books at a great price. Through our work with A-CET we have helped give hundreds of young people in Africa the vital chance to get an education. We provide a 100% money back guarantee and are dedicated to providing our customers with the highest standards of service in the bookselling industry. Very Good. Home to Holly Springs (Father Tim Novels) by Karon, Jan. Sewn binding. Cloth over boards. With dust jacket. Father Tim Novels (Hardcover), 1. My wife says this is a really excellent book and she totally enjoyed it. This is the necessary insight into what made Timothy Kavanaugh the man he became. Honest and Insightful. this is a wonderful audiobook about Father Tim's return to his hometown after 40 years of absence. It is a poignant journey back, told with humor and some sadness. It makes Father Tim more real and more human. The narrator is excellent. Just like all of Jan Karon's books, keeps your interest all the way to the end! Nice balance between follow-up for characters of her Mitford series, and stand-alone plot for new readers. A page-turner. . . didn't put it down til the last paragraph. Clever surprise ending. Keeps the reader engrossed. Readers will be hoping for more books with this visit-to-the past theme.